Need top-notch, reliable HVAC, refrigeration or hot side repair services for your residential, commercial or industrial property? Look no further than Cafco Services. We’ve been in the business since 1945, and have built a name synonymous with top-notch quality and trustworthiffness. No one likes having to deal with repairs, whether it’s for residential air conditioning or a much bigger HVAC, refrigeration, or hot side repair job in an industrial facility. Even with a good preventative maintenance program in place, there are sometimes issues that require immediate attention. Investing in HVAC/R repair can provide you with several benefits that can more than make up for the cost. Increased Comfort & Energy Savings. 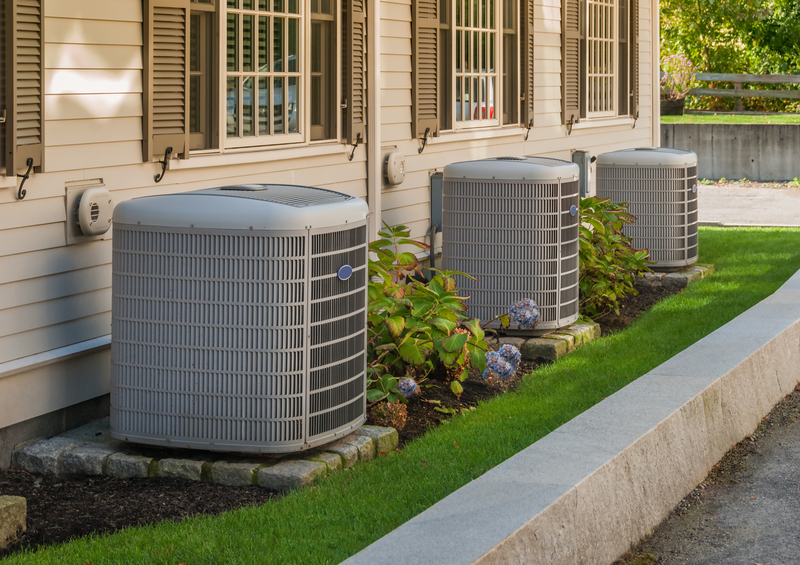 Optimal indoor temperatures are easier to achieve with a well-functioning HVAC unit. With a unit that doesn’t need to work overly hard to maintain optimal indoor temperatures, rooms can be heated or cooled consistently, allowing for greater energy efficiency. Better Indoor Air Quality. HVAC repairs can help address performance issues, allowing air filters and humidifiers to work as they should. This can help bring you healthier living spaces by reducing indoor humidity as well as allergens, dust and bacteria in the air. Improved Service Life. Air Conditioning, refrigeration and hot side problems should be addressed promptly to maximize unit performance. By turning to Cafco Services, you can boost your heating and cooling systems’ performance, ensuring longer-lasting service. Lower Repair Costs. Prompt service from Cafco Services allows you to monitor and address issues before they become serious, preventing the need for more extensive repair work. Count on Cafco Services for fast, efficient service and accurate diagnosis to help eliminate the potential for callbacks and additional costs. By paying to get the right problem fixed, you can ease the stress and hassle of having repair work done. Our technicians are knowledgeable in all types of equipment, regardless of brand. For your HVAC/R and hot side repair requirements, Cafco Services is the name to call. We bring you the best in engineering, professional installation and quality customer service that will meet and exceed your expectations. To learn more about what we can do for you, call us at (513) 242-3400 or fill out our online contact form with your repair needs.